Porsche confirmed in August that it would be churning out one last celebratory 993-generation 911 to commemorate its 70th anniversary, giving the car a bold paint job and the fitting nameplate of "Project Gold." On Saturday, the one-off beauty was auctioned off at the Porsche Experience Center in Atlanta, Georgia, bringing in a solid $3.1 million payday for the automaker. Originally revealed at Porsche Rennsport Reunion in September, this track-only example was finally sent to RM Sotheby’s auction block over the weekend where it became the newest addition to some lucky owner's stable. 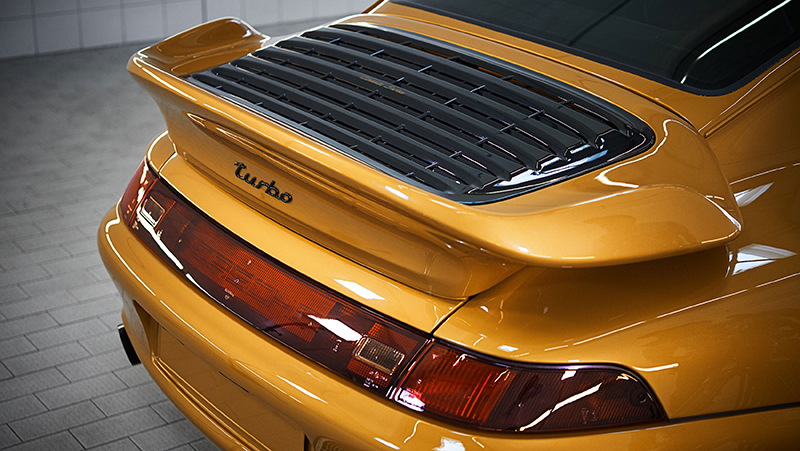 The 1997 Turbo S, for reference, had a base price of $150,000, meaning that this particular example cost nearly twenty times the original sticker price of the car it's based on. That's quite the price to pay for the world's most pristine 993, but other recent sales show that wildly outrageous Porsche prices aren't unheard of. Powering the car is a newly assembled 3.6-liter flat-six motor, pumping out a total of 450 horsepower (the same as a 993 Turbo S) thanks to two turbochargers which breathe life into the air-cooled motor. Coupled to the engine is a manual gearbox that puts the power down to all four wheels. 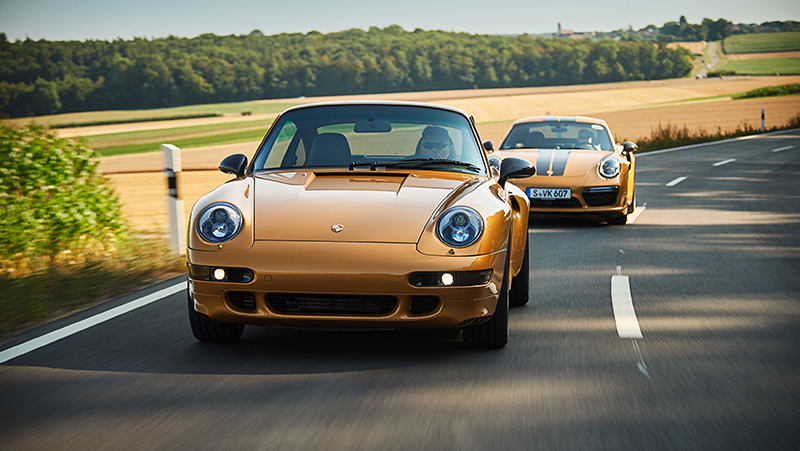 It took the German automaker nearly a year and a half to assemble Project Gold, relying on a stock of over 6,500 parts that it still maintains for the 993-generation of cars. 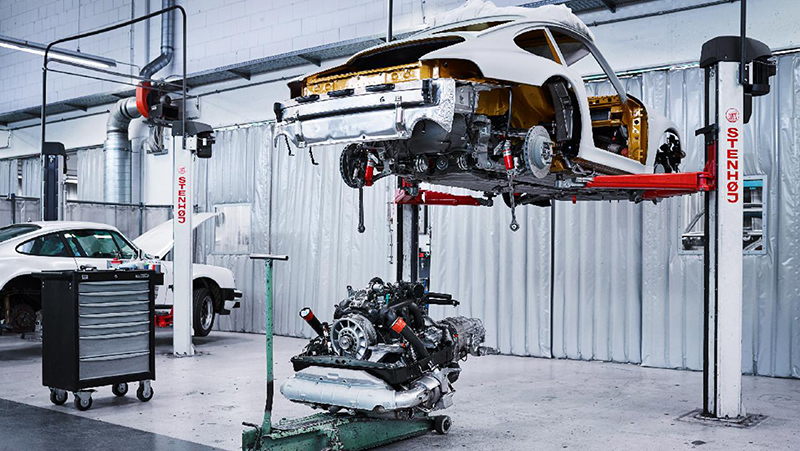 Porsche also worked with members of the team responsible for building the 2018 911 Turbo S Executive to apply modern-day building techniques to the classic, such as corrosion protection and painting. As a nod to its bookkeeping, this 993 has the next-in-line chassis number to its older brother that was last manufactured in 1998. Because the car was titled with a new VIN and built to original safety standards that don't meet compliance regulations in many parts of the world, the automaker notes that this car is for off-road use only. It's a shame that this car will never get to see the road (legally), but will likely decorate a collection quite nicely. 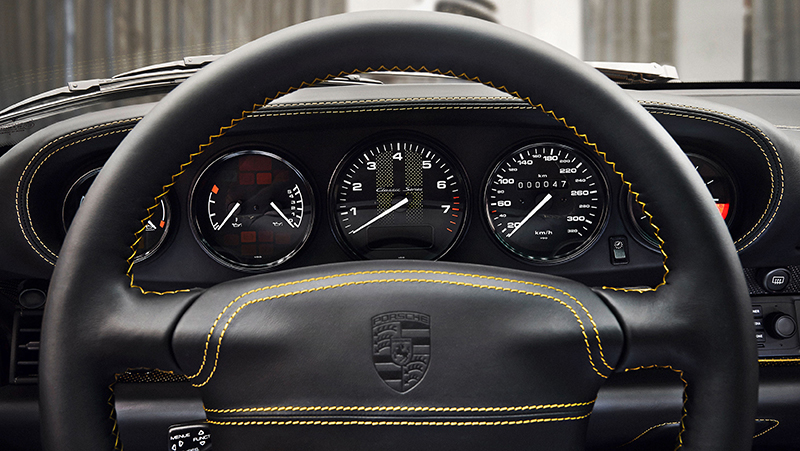 Porsche says that the proceeds earned from the sale of Project Gold will be donated to the Ferry Porsche Foundation. Porsche's driver-focused GTS trim finally makes its way to the Panamera.